Most biographies begin with a person’s birth or the identity of his parentage, but Benjamin Hornigold didn’t enter the historical record until 1713 following the end of the War of the Spanish Succession (also known as Queen Anne’s War). When Carlos II of Spain died in 1700, he had no children to inherit his throne. The crown passed to Philippe, duc d’Anjou, grandson of Carlos’ half-sister, Maria Teresa, and Louis XIV of France. As a second son, Philippe was unlikely to inherit the French throne. If, however, his brother (who eventually become Louis XV), died without issue, Philippe would rule not only Spain, but also France, the Spanish colonies in the Americas, the Spanish Netherlands, and a sizable chunk of Italy. Such supremacy didn’t sit well with other European powers and in 1701 the War of the Spanish Succession began. The Treaty of Utrecht, signed in 1713, ended hostilities between Spain, France, the Netherlands, and Britain. Originally based in Jamaica, Hornigold soon moved his base of operations to New Providence, the perfect place for a pirate haven. It was located near the Straits of Florida, the main shipping lane vessels bound for Latin America traveled. The numerous islands, cays, and islets that comprise the Bahamas provided myriad hidden shelters for pirate vessels and plenty of food and fresh water to feed their crews. Spotswood was aware of this new “nest of pirates” and impending danger. In July 1716, he forwarded to the Council of Trade and Plantations in London the deposition of John Vickers, who had recently come from New Providence. In Nov. last Benjamin Hornigold arrived at Providence in the sloop Mary of Jamaica, belonging to Augustine Golding, which Hornigold took upon the Spanish coast, and soon after the taking of the said sloop, he took a Spanish sloop loaded with dry goods and sugar, which cargo he disposed of at Providence, but the Spanish sloop was taken from him by Capt. Jennings of the sloop Bathsheba of Jamaica. In January Hornigold sailed from Providence in the said sloop Mary, having on board 140 men, 6 guns and 8 pattararas [swivel guns], and soon after returned with another Spanish sloop, which he took on the coast of Florida. After he had fitted the said sloop at Providence, he sent Golding's sloop back to Jamaica to be returned to the owners: and in March last sailed from Providence in the said Spanish sloop, having on board near 200 men, but whither bound deponent knoweth not. These pirates weren’t the only riffraff plaguing the islands, for Vickers also described around fifty others who had plundered the wrecks of treasure galleons. [They] committ great disorders in that Island, plundering the inhabitants, burning their houses, and ravishing their wives. One Thomas Barrow formerly mate of a Jamaica brigantine which run away some time ago with a Spanish marquiss's money and effects, is the chief of them and gives out that he only waits for a vessell to go out a pirating, that he is Governor of Providence and will make it a second Madagascar, and expects 5 or 600 men more from Jamaica sloops to join in the settling of Providence, and to make war on the French and Spaniards, but for the English, they don't intend to meddle with them, unless they are first attack'd by them . . . . The Lord Proprietors had basically abandoned the Bahamas in 1703, which made it easier for the pirates to gain control. Thomas Walker acted as the deputy governor, but even he was powerless against these men as shown in Vickers’ deposition, which can be found in the Calendar of State Papers Colonial, America and West Indies. About a year ago one Daniel Stillwell formerly belonging to Jamaica, and lately settled on Isle Aethera, went in a small shallop, with John Kemp, Matthew Low, two Dutchmen, and – Darvell to the coast of Cuba and there took a Spanish lanch [launch] having on board 11,050 pieces of eight, and brought the same into Isle Aethera; and Capt. Thomas Walker of Providence having received advice thereof from the Governor of Jamaica, seized Stillwell and his vessell, but upon the coming of Hornigold to Providence, Stillwell was rescued and Capt. Walker threatned to have his house burned for offering to concern himself, Hornigold saying that all pirates were under his protection. . . . Signed, John Vickers. I was formerly directed by H.E. Genll. Nicholson to render to your Lordships an accot. of the state and condition of ye Bohamia Islands wch. has a long time bin without governmts., The want of wch. has laid those Islands open to be a recepticall and shelter of pirates and loose fellows and gives ye inhabitants as well as ye trading vessuals from other parts ye liberty and oppertunity of inriching themselves by sideing and dealing with, entertaining and releiveing such villians who from time to time resort there to sell and dispose of their piraticall goods, and perfusely spend wtt.[what?] they take from ye English, French and mostly Spaniards, and as I am an inhabitant of New Providence have bin an eye witness to those ellegiall and unwarrantable practises commited both by ye piratts and inhabitants and others tradeing there, and have used ye uttmost of my endeavours to put by and prevent them, as alsoe by my goeing to the Havana hath bin a means of preventing ye design of ye provoked Spaniards comeing to cut those Islands off for the piraces ytt. has since ye peace bin commited even by some of the inhabitants of those Islands. The pirates daly increse to Providence and haveing began to mount ye guns in ye Fort for there[their] defence and seeking ye oppertunity to kill mee because I was against their illegall and unwarrantable practices and by no means would consent to their mounting of guns in ye Fort upon such accots. I was thereupon forced with my wife and family to acquitt ye Island to my great expence and damage and ye latter part of June last arrived safe to this Province [South Carolina] where I remaine upon expence in hopes thatt H.M.[His Majesty] will be gratiously pleased to take those Islands under his care and protection, etc. that ye Islands may become a flourishing plantation, etc. During his brief stint as a pirate, Hornigold used a variety of vessels. His first sloop was Happy Return, although he merely sailed her. Jonathan Darvell owned the sloop; unhappy with his share of the profits, Hornigold and two other men bought a boat from an Eleutheran. With this they captured two Cuban vessels carrying treasure valued at 46,000 pieces of eight. In 1715 he seized a sloop-of-war, which he christened Benjamin. Two hundred pirates manned her. When he later parted company with Samuel Bellamy, he sailed a smaller sloop named Adventure. At some point he may also have captained a vessel named Ranger armed with thirty-six guns. At this point Benjamin Hornigold was one of the four most influential pirates at New Providence. The others were Henry Jennings, Josiah Burgess, and Edward Teach. The last had learned the tricks of his trade from Hornigold, who recognized Teach’s talents early on and mentored him. As for Jennings, he considered Hornigold his rival. For example, in 1716 Jennings tried to steal a rich prize Hornigold had captured, but that crafty pirate eluded him. Not long after Hornigold escaped Jennings’ clutches, Samuel Bellamy, Paulsgrave Williams, and their men asked to join up with Hornigold. These audacious New Englanders had just stolen treasure from Jennings. This impressed Hornigold, who not only welcomed them, but made Bellamy captain of the Marianne, even though others from his own crew, including Edward Teach, were more deserving. When Olivier La Buse, captain of the Postillion, and his men happened upon this new fleet of pirates, they decided to sail in consort. Together they sailed the West Indies in search of prey, capturing forty-one prizes in less than one year. 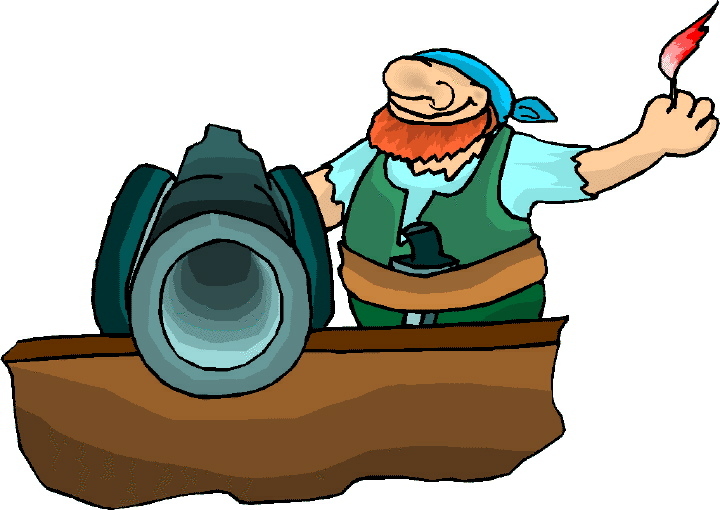 When an English sail was sighted, the pirates wanted to attack. Hornigold did not, but since majority ruled amongst the brethren, they attacked the vessel. Amongst those captured was twenty-five-year-old John Brown, who gave testimony about what happened on 6 May 1717. About a year agoe he belonged to a Ship commanded by Captain Kingston, which in her voyage with Logwood to Holland was taken to the Leeward of the Havana by two Piratical Sloops, one commanded by Hornygold and the other by a Frenchman called Leboose, each having 70 men on board. The pirats kept the Ship about 8 or 10 daies, and then having taken out off her what they thought proper delivered her back to some of the men, who belonged to her. Leboose kept the Examinate on board his Sloop about 4 months, the English Sloop under Hornigolds command keeping company with them all that time. Off Cape Corante they took two Spanish Briganteens without any resistance, laden with cocoa from Ma[l]aca. The Spaniards, not coming up to the pirats demand about the ransom, were put ashoar and their Briganteens burn'd. They sailled next to the Isle of Pines, where meeting with three or four English Sloops empty, they made use of them in cleaning their own, and gave them back. From thence they sailled in the latter end of May to Hispaniola, where they tarried about 3 months. The Examinate then left Leboose and went on board the Sloop commanded formerly by Hornygold, but at that time by one Bellamy, who upon a difference arising amongst the English Pirats because Hornygold refused to take and plunder English Vessels, was chosen by a great majority their Captain, and Hornygold departed with 26 hands in a Prize Sloop . . . . Among those loyal followers was Edward Teach, but within a few months, he, too, followed his own path to become one of the most feared pirates of the era, Blackbeard. Whereas We have received Information, That several Persons, Subjects of Great Britain, have, since the Twenty fourth Day of June, in the Year of our Lord One thousand seven hundred and fifteen, committed divers Piracies and Robberies upon the High Seas in the West-Indies, or adjoyning to Our Plantations, which hath, and may Occasion great Damage to the Merchants of Great Britain, and others, Trading into those Parts; And though We have appointed such a Force as We Judge sufficient for Suppressing the said Piracies: Yet the more effectually to put an End to the same, We have thought fit, by and with the Advice of our Privy-Council, to Issue this Our Royal Proclamation; And We do hereby Promise and Declare, That in case any of the said Pirates shall, on or before the Fifth Day of September, in the Year of our Lord One thousand seven hundred and eighteen, Surrender him or themselves to One of Our Principal Secretaries of State in Great Britain or Ireland, or to any Governor or Deputy-Governor of any of Our Plantations or Dominions beyond the Seas, every such Pirate and Pirates, so Surrendring him or themselves, as aforesaid, shall have Our Gracious Pardon of and for such his or their Piracy or Piracies, by him or them. News of this amnesty reached the Bahamas in December. The following February HMS Phoenix, a small frigate in the Royal Navy, arrived in Nassau. Captain Vincent Pearse noted fourteen other ships in the harbor. These flew the colors of the Netherlands, England, France, Spain, or the flags of no nation – the Jolly Roger. Five were indeed prizes, but nine belonged to traders who did business with the pirates, although they “pretended they never did it till [after] the Act of Grace was published,” according to Pearse. (Woodard, 233) He sent Lieutenant Symonds ashore under a flag of truce to deliver the royal proclamation. “He was received by a great number of Pirates with much Civility.” (Woodward, 234) Those who were for taking the pardon provided information to the lieutenant as to where to find Charles Vane, Edward England, and their men. On hearing the news of Vane’s surrender and arrest, the pirate leaders – which included Benjamin Hornigold, Francis Lesley, Josiah Burgess, and Thomas Nichols – told Captain Pearse “that my taking the sloop had very much alarm[ed] all, the Pyrates in general believing that men taken in her would be executed.” They counseled Pearse that releasing the pirates “would be a very great means to induce [them] to surrender and accept the Act of Grace.” (Woodard, 235) Pearse apparently felt their advice merited consideration, for he did release Vane, England, and fourteen others. Only one pirate, named Lark, remained under arrest. Benjamin Hornigold felt they should take the pardon. Thereafter, they could either become members of society or return to their old ways later if they wished. Most of the brethren concurred. The morning of 26 February 1718 and for the next two days, the pirates ventured out to the Phoenix to surrender. Hornigold was one of the first to do so. In all 209 pirates received certificates of protection. I met with little opposition in coming in, but found a French ship. (that was taken by the pirates of 22 guns) burning in the harbour, which we were told was set on fire to drive out H.M.S. the Rose who got in too eagerly the evening before me, and cut here[her] cables and run out in the night for fear of being burnt, by one Charles Vane who command'd the pirates and at ours and H.M.S. the Milford's near approach the next morning they finding it impossible to escape us, he with about 90 men fled away in a sloop wearing the black flag, and fir'd guns of defiance when they perceiv'd their sloop out sayl'd the two that I sent to chase them hence. On the 27th I landed and took possession of the fort, where I read H.M. Commission in the presence of my officers, soldiers and about 300 of the people found here, who received me under armes and readily surrendered, shewing then many tokens of joy for the re-introduction of Governmt. I sent officers ashoar at first coming in, but by means of our ship and H.M. ship the Milford running aground I delayed my landing till this day.
. . . every minute [we expected] to hear of Vaine . . . for on 1st Sepr. three men that came in a boat from Vaine who was then on the coast of Cuba confess'd they promised to meet him again about this time there; And the very day after Capt. Whitney sailed, I had an express sent me that three vessels supposed to be Vaine and his prizes were at Green Turtle Key near Abacoa and since I had no strenght to do better, I got a sloop fitted under the command of Capt. Hornygold to send and view them and bring me an accot. what they were. . .
As each day passed and no word arrived from Hornigold, Rogers worried that he had made the wrong decision in trusting the former pirate, whom he feared had joined forces with Vane.
. . . but to my great satisfaction he return'd in about three weeks having lain most of that time concealed and viewing of Vaine the Pirate in order to surprize him or some of his men that they expected would be near them in their boats, but tho they failed in this Capt. Hornygold brought wth. him a sloop of this place, that got leave from me to go out a turtling but had been trading wth. Vaine who had then wth. him two ships and a brigantine, his sloop that he escaped hence in being run away with by another set of new pirates, the two ships he took coming out of Carolina one of 400 and the other of 200 tons loaded wth. rice, pitch and tarr and skins bound for London the Neptune Capt. King being the largest he sunk and the Emperour Capt. Arnold Gowers he left without doing her any damage except taking away their provisions. I have secured the mercht. that traded wth. Vaine and having not yet a power to make an example of them here he remains in irons to be sent home to England by the next ship.
. . . Capt. Hornygold having proved honest, and disobliged his old friends by seazing this vessel it devides the people here and makes me stronger then[than] I expected. When and how Benjamin Hornigold died is a mystery. Captain Johnson said he “. . . was cast away upon rocks, a great way from land, and perished. . . .” (Konstam, Blackbeard, 231) Most likely he encountered a hurricane, somewhere in the Caribbean or Gulf of Mexico, and drowned when his ship sank, or the ship grounded and he was among those lost. When Woodes Rogers sent a letter to his superiors in London in February 1720, he complained that he needed ships to protect the colony, but said nothing of Benjamin Hornigold. Most likely he had probably died. *Evidence does exist to contradict this declaration, but Hornigold returned the captured vessel to its owners several months later. Botting, Douglas. The Pirates. Time-Life, 1978. British Piracy in the Golden Age: History and Interpretation, 1660-1730 edited by Joel H. Baer. Pickering & Chato, 2007. British Royal Proclamations Relating to America, 1603-1783. Volume 12. 1911. Burgess, Douglas R., Jr. The Pirates’ Pact: The Secret Alliance between History’s Most Notorious Buccaneers and Colonial America. McGraw Hill, 2008. Clifford, Barry. The Pirate Prince: Discovering the Priceless Treasures of the Sunken Ship Whydah. Simon & Schuster, 1993. Cordingly, David. Under the Black Flag: The Romance and the Reality of Life among the Pirates. Random House, 1995. Croce, Pat. Pirate Soul. Running Press, 2006. Duffus, Kevin P. The Last Days of Black Beard the Pirate. Looking Glass Productions, 2008. Earle, Peter. The Pirate Wars. Thomas Dunne, 2003. Konstam, Angus. Piracy: The Complete History. Osprey, 2008. Konstam, Angus. Pirates: Predators of the Seas. Skyhorse, 2007. Konstam, Anugus. The World Atlas of Pirates. Lyons Press, 2009.